The ultimate in taste and portions! 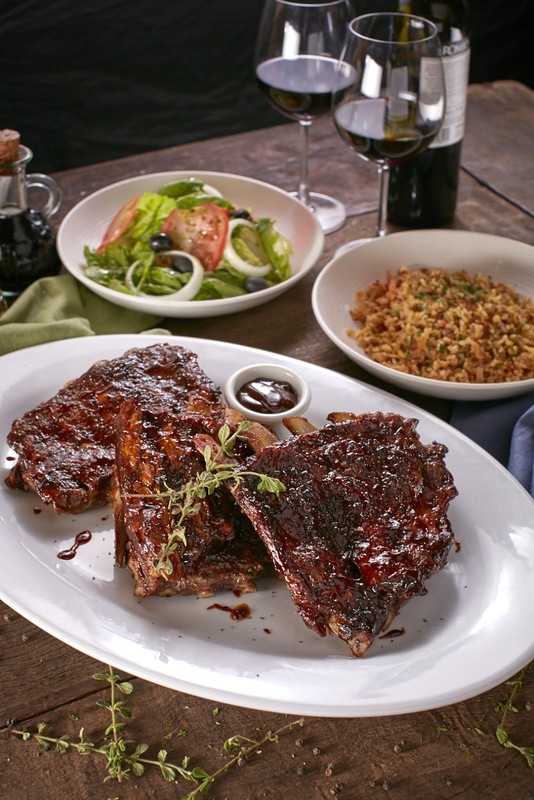 That’s what Italianni’s “Ultimate Rib Platter” is all about. Imagine sinking your teeth into 1 to 1.4 kilos of Baby Back Ribs with a choice of additional per side dish (Italian Fried Rice, Insalata Rucola salad, House salad and Spaghetti Aglio Olio) worth P145 only. This is something that two to three persons can share, A’More Di’Merrier, Italianni’s style. 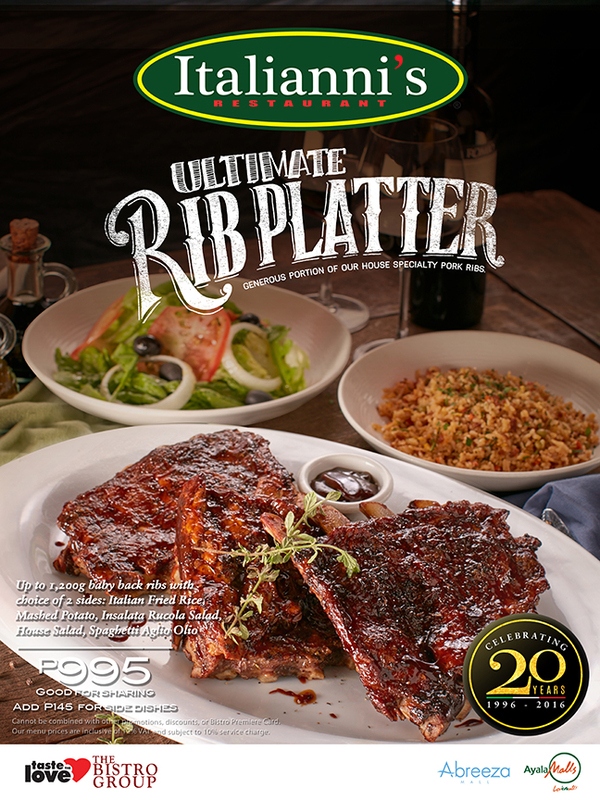 For only P995, an order is quite a steal! That's value for money for you and your friends. 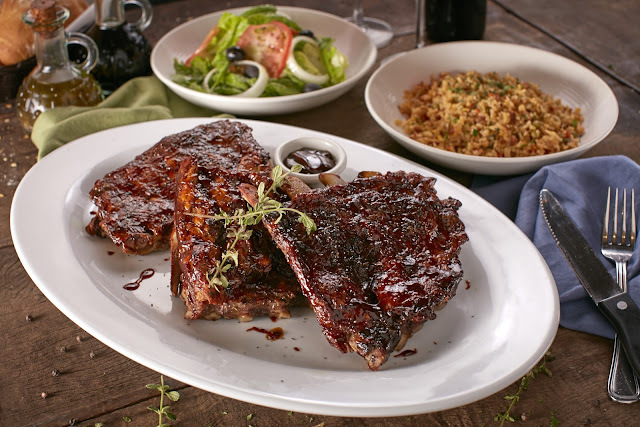 Italianni’s ribs are marinated in spices and ingredients that complement the flavor and not bury it so the meat shines. There is a symphony of flavors – a little sweet, a little tart, a little hot with a whole of deliciousness right in every bite. Have a serving of this new menu offering that is available all day, every day, in all Italianni’s branches (except Boracay). 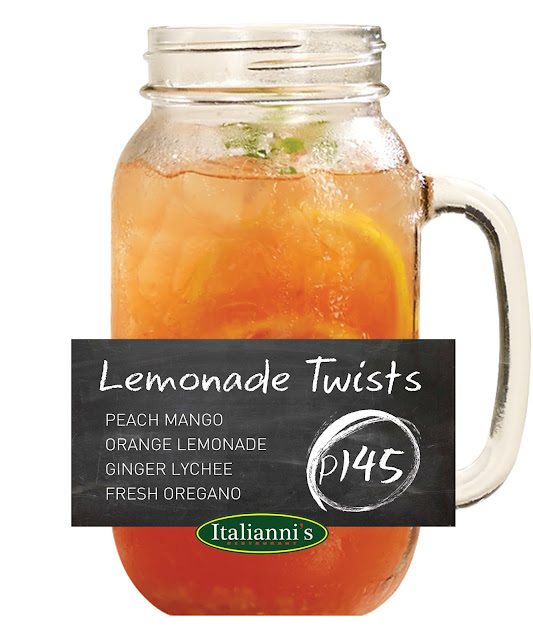 Together with this promo are the newest thirst quenchers of Italiannis. Take a sip of their freshly handcrafted beverages “Cranberry Twists” and “Lemonade Twists” for only P145. 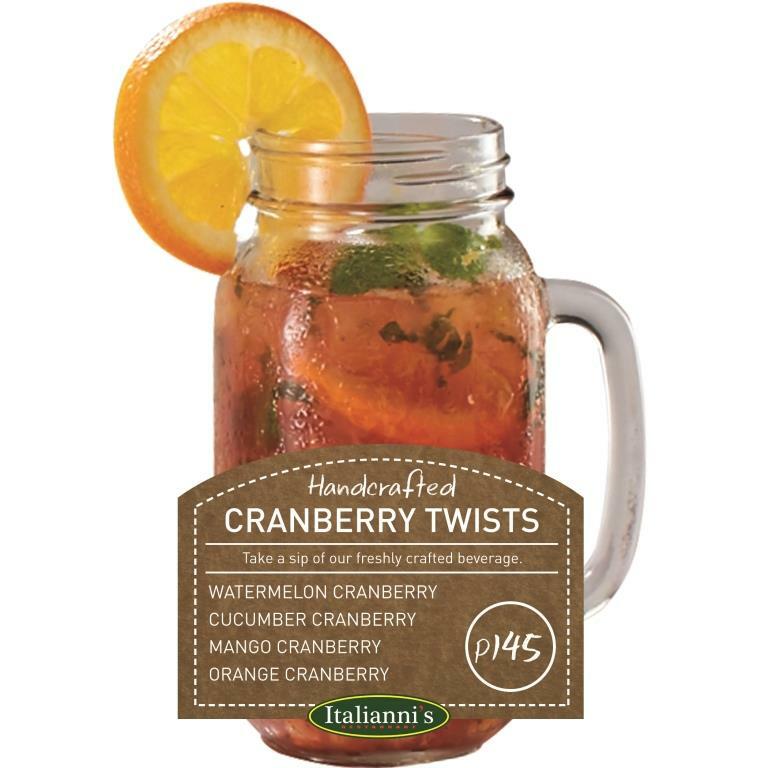 A choice of Watermelon Cranberry – that has cranberry juice mixed with muddled watermelon and a hint of cucumber, Cucumber Cranberry – with cranberry juice muddled cucumber and lime juice, Mango Cranberry – with cranberry juice and muddled ripe mango, Orange Cranberry – flavored with cranberry juice, orange, and mint leaves. 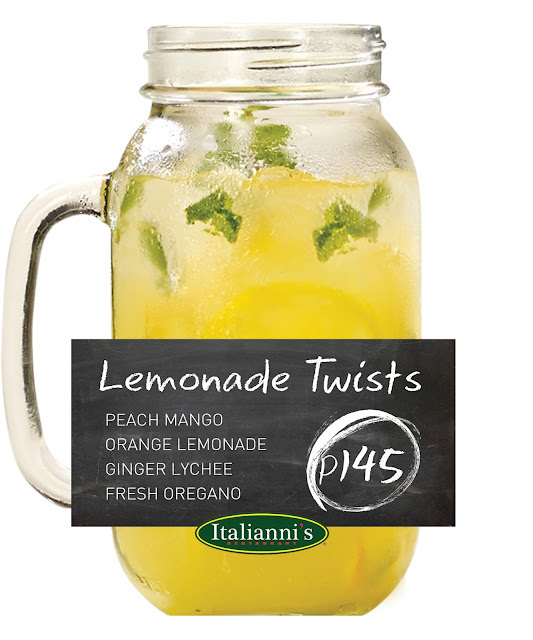 You may also enjoy the surprisingly sweet combination of fresh peach-mango for a fruity twist of Peach Mango Lemonade, the refreshing minty tropical fusion of lemon and sweet Orange Lemonade; Ginger Lychee Lemonade with sweet tangy delightful drink made of lychee and a hint of ginger, and lastly, Fresh Oregano Lemonade filled with uniquely icecold lemonade with a soothing aromatic flavor of fresh oregano mix all from their list of “LEMONADE TWISTS”. This is a perfect summer cool-down for you and your friends. For more information, you can check out our social media accounts at facebook.com/italiannisph; twitter.com/italiannisph; and instagram.com/italiannisph.